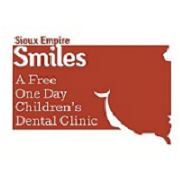 We are proud to be hosting and participating in Sioux Empire Smiles. We believe that all children deserve a healthy smile, and we are happy to do what we can to help the children in our community. Follow the links below to learn more.